Riding is at its most satisfying when it becomes an ongoing process of learning, and it can remain fascinating for life: there is no end to the way you can develop your body into a stable, adaptable tensegrity structure that transmits force. Your influence becomes increasingly profound and precise, and when you base your horse's training on the foundation of good biomechanics, your intentions become so much clearer to your horse. With less ‘noise’ and more meaningful signals, both of you develop your perceptions and body awareness. The prizes of this work may or may not lie in competition placings; but they undoubtedly lie in the many small but profound insights that build on themselves as your skill develops. They can enrich your life beyond measure, both on and off your horse. May the force (from back to front) be with you! Click the button below to find out more about membership of Dressage Training TV which includes videos and instruction by Mary Wanless BHSI. 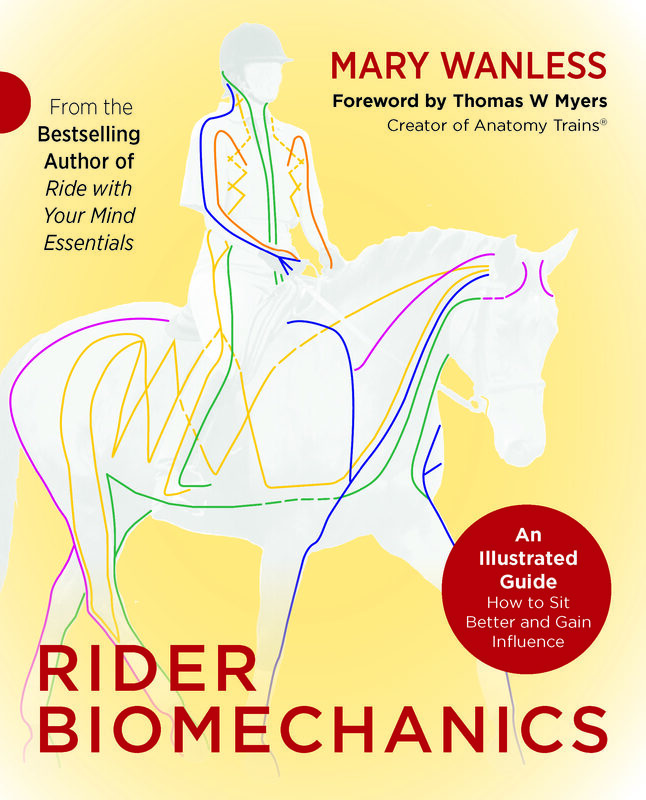 Membership includes Mary's latest course which is based on the Rider Biomechanics book. Enter the fascinating world of tone, stability and balancing the lines of muscles & fascia within your body!